The Kalahari Desert looks like a desert, by all appearances is a desert, and yet it’s something of a conundrum because it is, in fact, not a desert. Africa’s southernmost desert gets too much rain, for a start, than your average desert – between 5 and 10 inches a year. It’s also made up, predominantly, of sand dunes – long chains of dunes separated by broad depressions known by the locals as ‘strate’ – the Afrikaans for ‘streets’ or ‘lanes’. Unlike other deserts these dunes do not wander. 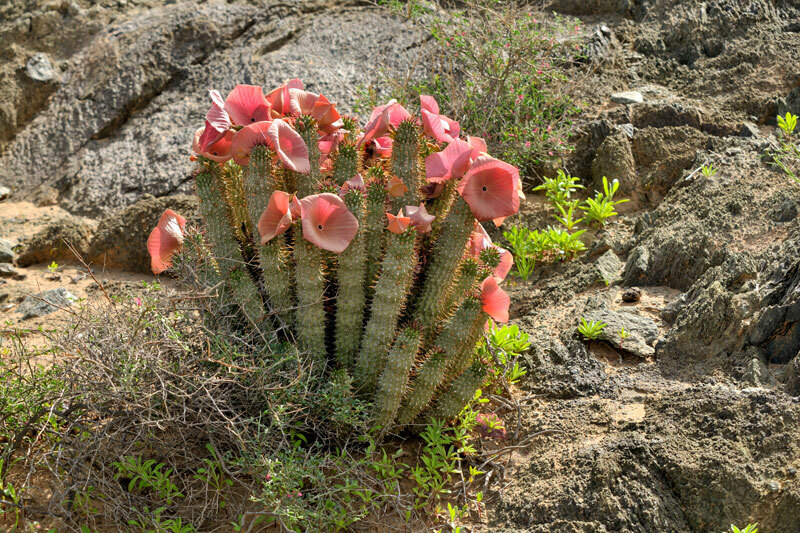 The Kalahari supports more plant life than one expects from a desert – plenty of grassy tussocks, shrubs, the shady camelthorn tree, shepherd’s tree, silver cluster-leaf, the now famous Hoodia cactus, and a feast of edible plants that include wild cucumbers and creeping tsamma melons. But what really stands out in people’s imagination is the high iron oxide content of the sand, which turns the dunes a red that, given the right light, makes the Kalahari otherworldly. The Kalahari Desert extends for hundreds of thousands of square kilometres in the most northerly reaches of the Northern Cape of South Africa, extending into much of Botswana and parts of Namibia. 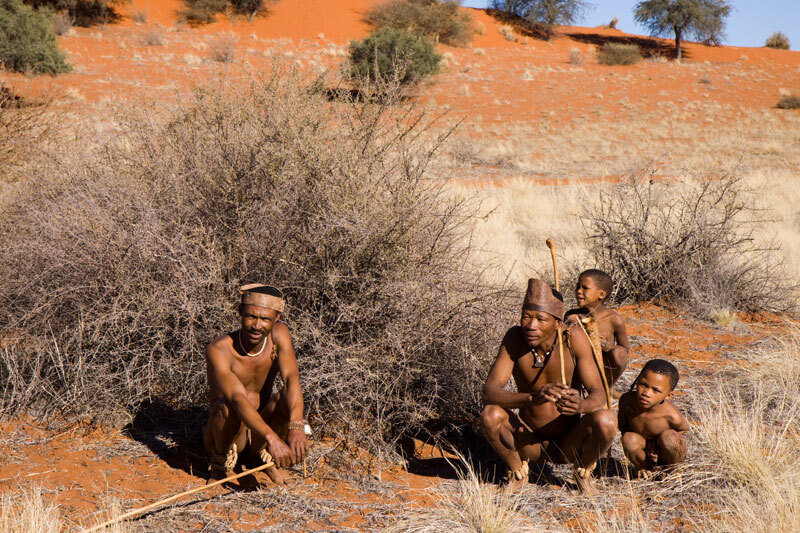 It is the rightful home of the San people, nomadic hunter-gatherers considered southern Africa’s first people, who continue to live on the fringes of the desert. 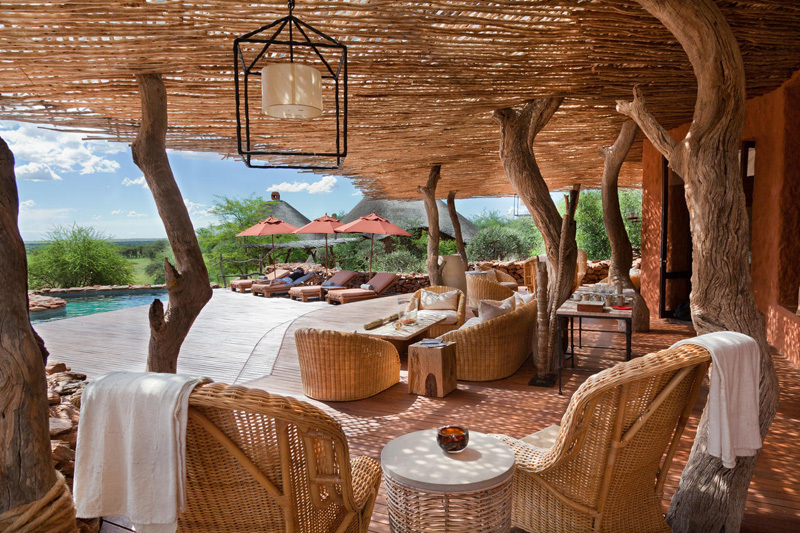 The Kalahari, because of the effort it takes to reach, remains something of a ‘secret’ destination of South Africa. 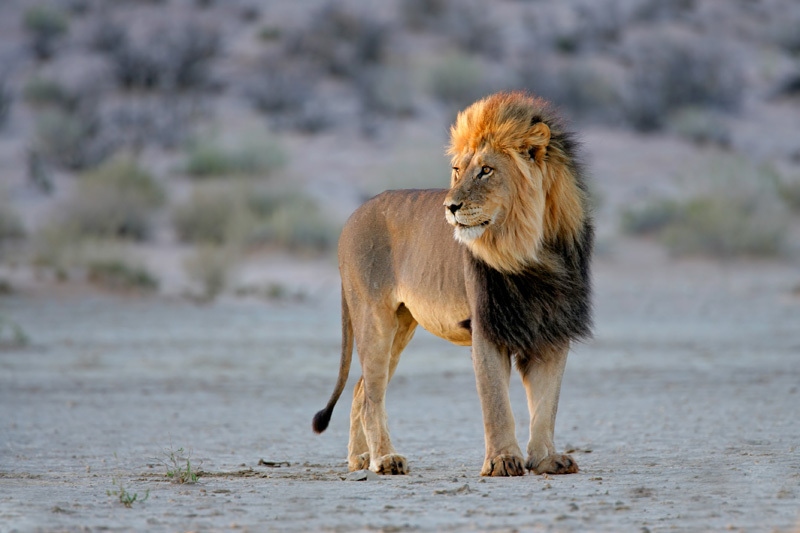 Kgalagadi crosses frontiers, not just of countries, but of the heart. The night skies alone will expand your internal horizons, whilst the chance to see black-maned lions, cheetah, honey-badger, bat-eared fox, meerkat and barking geckos gives you a new appreciation for the unusual. Any time of year is spectacular, although you might want to bear the temperature extremes in mind (as high as 50 ℃ in Jan/Feb, and plummeting to -10 ℃ at night in June/July). South Africa’s most recent UNESCO World Heritage Site (there are another 8 in South Africa) is the living cultural landscape (an indigenous knowledge of semi-arid desert hunting and gathering) of the last surviving indigenous San community – the aboriginal people of South Africa. To visit the Khomani San is as simple as visiting the Kgalagadi Transfrontier Park, where you can track with them. 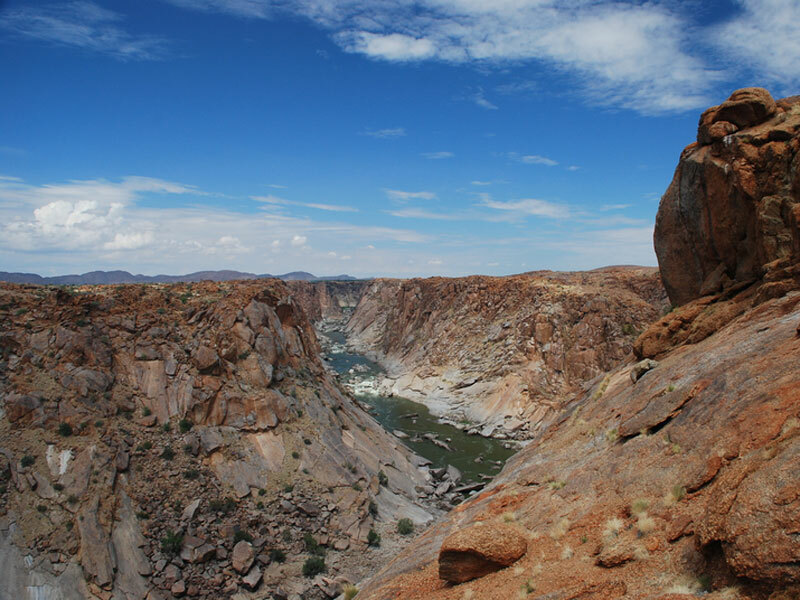 Another San community, this time a conservancy, Riemvasmaak (reem fuss mark) lies between the flowing Orange River and the dry Molopo River in the north western Kalahari. You can get there from Augrabies Falls National Park even in a sedan, as long as you take it gently. And it’s not the baths so much but the surrounding scenery that holds you spellbound – towering cliffs overlooking the Molopo River. And don’t forget the natural ‘cold’ water rock pool a little ways downstream of the hot pools. Tswalu is a vast reserve in the southern green Kalahari, reached only by charter flight, with some of the best game sightings in the country that include the unusual – pangolin, meerkat and aardvark (the last being particularly difficult to spot) – and the exciting – white and black rhino, wild dogs, lions and cheetah. The reserve is divided in two, and you can walk and ride horses in that part without predators. Witsand is all about its sand dunes. Not only are they reputed to roar, but even when they don’t they provide entertainment – if it’s only to sandboard or run up and down them whilst shrieking like a child – and you can, because the small reserve has no predators, making it easy to get around on foot. Reaching Witsand on corrugated roads is, admittedly, a little taxing, but the combination of peace, quiet and beauty is difficult to beat. A wine route in the desert? Yup. The Orange River in the green Kalahari region of the country, around Upington, Keimoes, Kakamas, Groblershoop and Grootdrink, is, green. Not because it rains a lot, but because the river is the lifeblood of land under vine, on either side of the river. Because it’s in the more southerly parts of the Kalahari desert, it’s easier to reach and once you’re on the N14 the vineyards stretch for miles. Most of the wines are sweeter whites, but you’ll find the odd red in there too. Stay close to the wine route. Right in the middle of the Kalahari is a mud and salt pan used to race cars. And they aren’t just any cars. They’re for speed freaks. Because it is here that people try to break land speed records – the 1000 mph land speed record attempt. Interestingly the team relies heavily on annual floods of the pan to wash the surface flat. Dance, music, storytelling and history in the middle of the Kalahari Desert, close to Askham. And you’re just in time to make this year’s event – 21 – 24 March 2018. Freedom Day in South Africa – How Will You Celebrate?